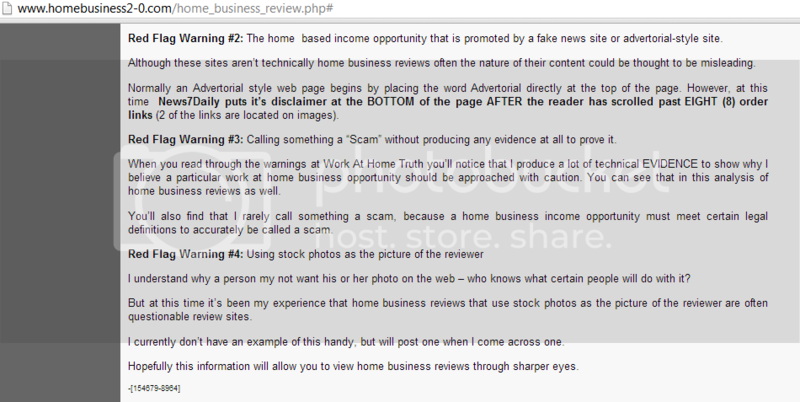 Thread: Home Business 2.0's Core Mission Is...To Steal My Content? "to assist each and every aspiring entrepreneur to find the financial success they desire by providing them with a systemic education in business and entrepreneurialism; an education that spans from the hard hitting basics for first time or struggling home business owners all the way to world class entrepreneurial excellence and results." 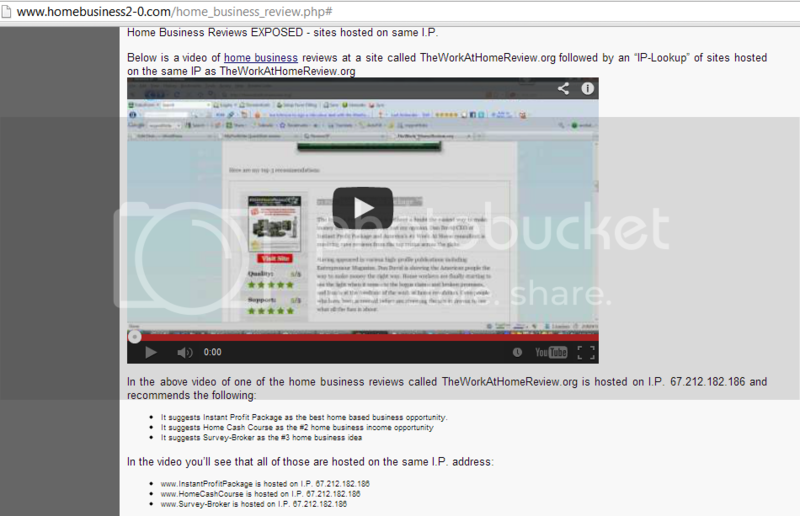 "home business review::Work At Home Truth Not Recommended - Home Business Reviews Exposed!" 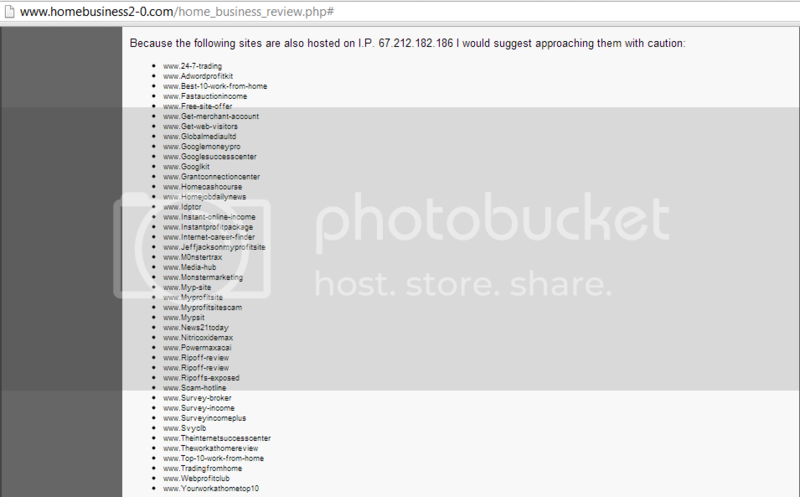 "Copyright © 2013. All Rights Reserved. 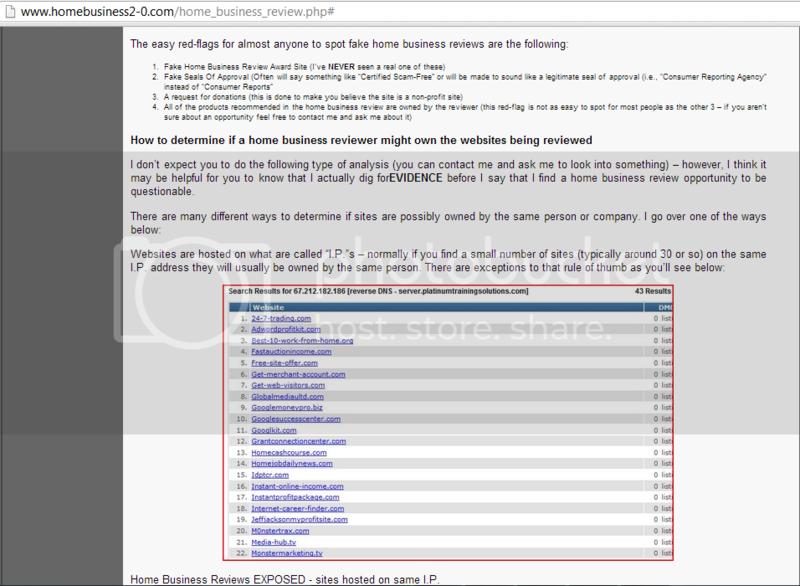 Any unauthorized duplication or use of any portion of this web site is strictly prohibited. All violators will be prosecuted with all available remedies." 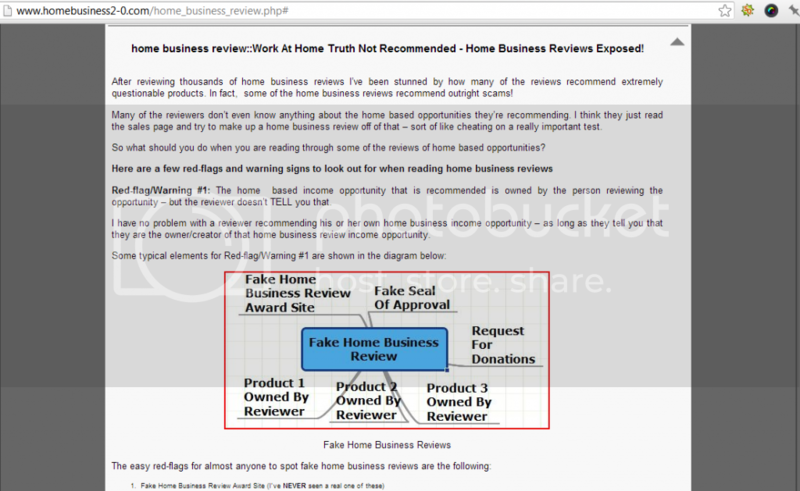 My original post is here: Home Business Reviews Exposed!